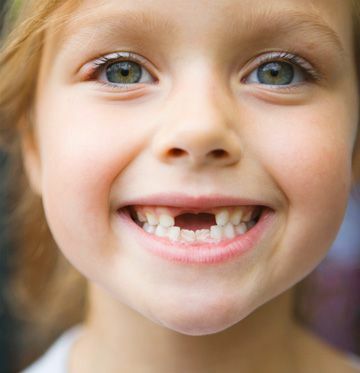 Losing a baby tooth can be traumatizing for a child. In some children, they will happily (and proudly) go about pulling out their “wobbly teeth” but for most children, it can be quite daunting to lose their first baby tooth. Will it hurt? Will it bleed? Will the tooth fairy come? When does the adult teeth erupt? There is no definitive age, but a range of ages. The first tooth to erupt is usually the first permanent molars (either upper or lower) and this happens at about 6-8 years old. Following that, the central incisors will come next. When we examine the permanent adult teeth closely, you can see that space is needed as the adult teeth are larger in size than the total baby teeth in the mouth. Furthermore, there are more adult teeth than baby teeth (32 to 20). It is vital to have extra space and this is provided in nature through 3 areas: – spacing between the baby teeth – slight growth in the upper and lower jaw lengths – increase in the width of the jaw The mechanism of growth is complicating and many factors can directly or indirectly affect (reduce or increase) it. This will have an effect on crowding of the adult teeth. For example, habits such as thumb sucking, environmental such as pollen and air pollution and diet can affect the amount of spacing and crowding of teeth. Fluoride, childhood antibiotics and trauma can affect the quality of the teeth. Genetics can affect the quantity of teeth. It is in this “mixed dentition” stage (where both baby and adult teeth are present) that the dentist might try to “intercept” the problem. In principle, this is done to assist natural growth or correct a limiting factor that is holding growth back. Rather than waiting until all the adult teeth erupts and trying to fix the problem then, “interceptive orthodontics” aims to correct as much of a problem early on while growth is still on-going. This can have two obvious benefits: – by starting early, the extent of the problem might be reduced and there may not be a future need for orthodontic work – by starting early, interceptive orthodontics aims to correct the underlying cause of a malocclusion, be it mouth-breathing, or skeletal deficiency If you are interested in finding out more, speak to us. Holistic dentists are in a good position to advise you on this area. Sometimes, “teeth problems” are not necessarily teeth problems.